Elite Car Care offers a Paintless Dent Repair Service, which is second to none, from our premises in Maidenhead. Before you commit to expensive paintwork, if you have a dent and the surface of the paint or lacquer hasn’t been damaged, try our Paintless Dent Removal. 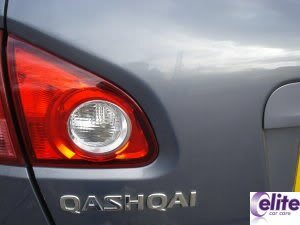 Paintless Dent removal or PDR, is the greener, cheaper and quicker option when considering car panel repair. Specialist techniques are used to gently massage and remove a dent from the damaged area, encouraging the panel to return to its original factory pressed shape also keeping the original paintwork intact. No paints, filler or chemicals are used during this repair method; therefore, no toxins are released into the atmosphere. The vehicle is restored back to its original condition within a short period of time. Most repairs are cheaper than the customer insurance excess, keeping premiums down to a minimum. With most people wanting to contribute in reducing the carbon footprint and protecting the environment from harmful influences, PDR is not only the greener option, it will become the first option when considering car panel repairs. New car owners dread getting that first dent, it can make you feel the car will never be the same again. By using our paintless dent removal service, you can keep that brand new feeling. 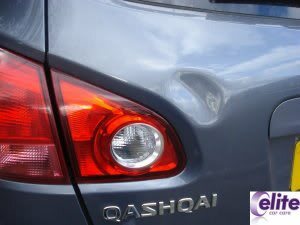 If you have panel damage on your car, we can save you hundreds of pounds. For a fraction of the cost charged at car body shops, many dings and dents can now be repaired without a trace when the repair is performed by a skilled PDR specialist. PDR can be used on all types of cars and vans with steel & aluminium bodies (including plastic bumpers). We can repair panels with paint damage, with the options of either the customer touching the paint afterwards or using our Smart Repair service. Additional panels are always discounted. This can be discussed in advance or upon inspection of your vehicle. This is really only of benefit to later cars and is for significant damage to expensive cars that have been quoted hundreds or even thousands of pounds to repair, and where maintaining the original finish is required. The time involved is greater and therefore the cost is significantly higher, yet it is still less than half a bodyshop quote for the same repair. Prices for this service are tailored to each job and can be supplied upon inspection of the damage. However to give an example: An Audi RS4 Saloon with extreme dents on the near side, front wing, both doors and rear quarter: Bodyshop estimate for repair and paint = £1,200.00 + VAT. PDR carried out for £500.00 + VAT.